Ok, Levenshulme. Let’s make you SPARKLE. 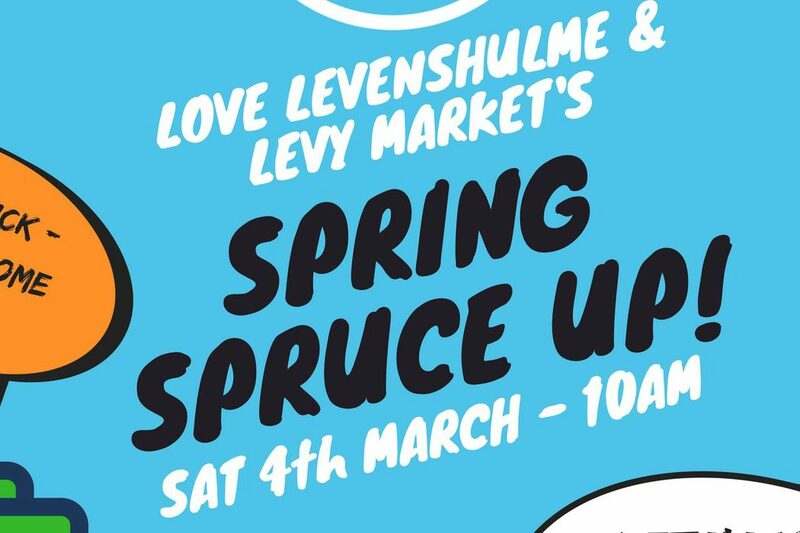 Levenshulme Market and Love Levenshulme are organising a Spring Spruce Up on Saturday 4th March, 10am to 12pm, and we need YOU. Show your interest over on the Facebook event page here. Meet at the market, at the community stall just next to the entrance on Stockport Road. We have equipment and some just-bossy-enough team leaders to get lots of litter picking and cleaning up done on the day. We’ll be aiming to tackle Chapel Street, Buckhurst and Barlow Road/Stockport Road entrance if we get a big enough gang. It’s all part of a nationwide event, and the residents of Levenshulme will be joining 32 other Manchester spring clean zones taking part in the annual Great British Spring Clean. Each volunteer gets a free hot drink afterwards, and of course bags of feel-nice community vibes. PLUS, it’s our big relaunch party, so stick around for food, drink, live music and shopping! Let’s send a message to litterbugs and mucky pups everywhere about working together as a community to keep Levenshulme all nice and clean! For more on why this event is needed and the important things it aims to achieve, this extremely good blog on Love Levenshulme is well worth a read. We’ll see you all there! Build It! Lego Club comes to Levy Market!